Last week’s economic news included readings on inflation, core inflation and retail sales. Weekly readings on mortgage rates and first-time jobless claims were also released. Commerce Department readings for October showed higher inflation and retail sales. Consumer Price Index rose by 0.30 percent and met expectations. September’s CPI reading was 0.10 percent. Core CPI, which excludes volatile food and energy sectors, also met expectations with a reading of 0.20 percent growth. September’s reading was 0.10 percent. Analysts attributed the highest reading in nine months to higher costs of fuel, rent and used cars. Retail sales recovered from September’s negative reading of -0.10 percent and surpassed expectations of 0.60 percent growth with October’s reading of 0.80 percent. Higher fuel prices prompted the jump in retail sales after August and September readings were revised to negative readings. Recent declines in oil prices were expected to stabilize gas prices for consumers. The reading for retail sales excluding autos also exceeded expectations with a reading of 0.70 percent. Analysts expected growth of 0.50 percent based September’s revised reading of -0.10 percent. Looking forward to the holiday shopping season, analysts expected robust readings for retail sales. Increased wages and a strong labor market were expected to help consumers during the holiday shopping season. 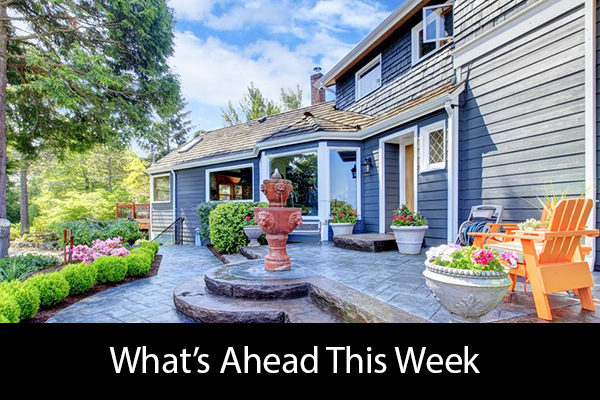 Mortgage rates were mostly unchanged last week, which provided a reprieve for home buyers. Freddie Mac reported that rates for 30-year fixed rate mortgages averaged 4.33 percent and was unchanged from the prior week. Mortgage rates for 15-year fixed rate mortgages rose three basis points and averaged 4.36 percent. Rates for a 5/1 adjustable rate mortgage averaged 4.14 percent and were unchanged from the prior week. Discount points averaged 0.50 percent for 30-year mortgages and 0.40 percent for 15-year fixed rate mortgages. Discount points for 5/1 adjustable rate mortgages were 0.30 percent on average. First-time jobless claims were higher last week with a reading of 216,000 new claims filed as compared to expectations of 210,000 new claims filed and the prior week’s reading of 214,000 new claims filed New jobless claims remained near historic lows despite last week’s increase in claims. This week’s scheduled economic releases include readings from the National Association of Home Builders Housing Market Index and Commerce Department readings on housing starts and building permits issued. The National Association of Realtors® will release its report on sales of pre-owned homes. Weekly readings on mortgage rates and new jobless claims will also be released.